Creating genuinely helpful chatbots can be a little like walking a tightrope: it’s a fine balance between anticipating users’ questions and providing helpful information, while still conveying an intuitive human touch. 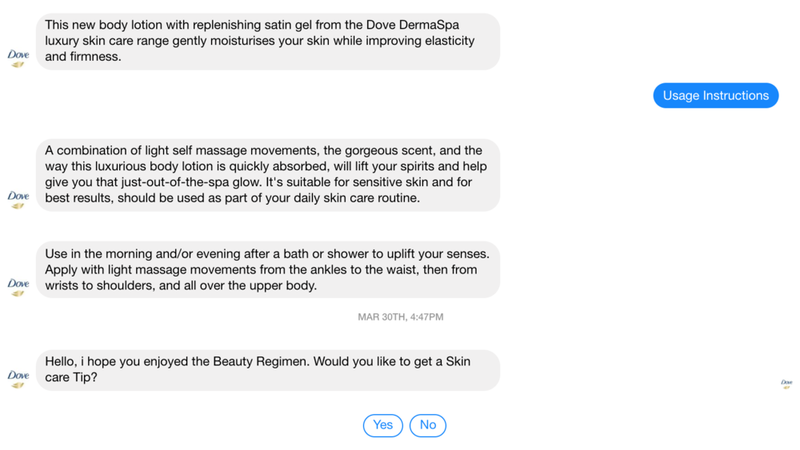 For Dove, we used our expertise in crafting brand tone of voice and communications to produce the conversational content for their very own Facebook Messenger chatbot. 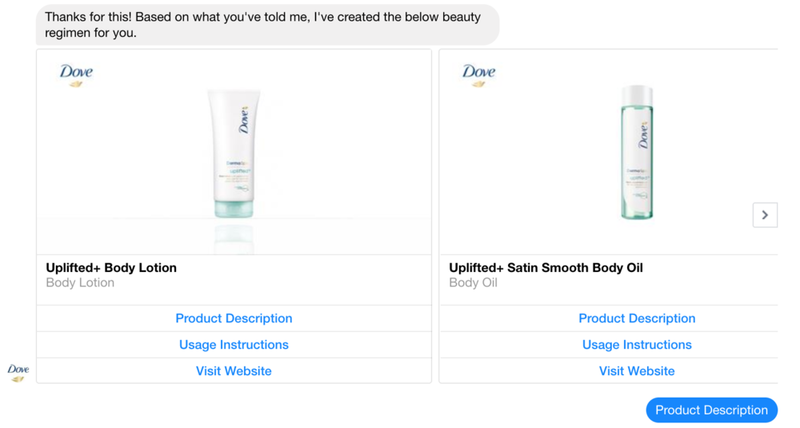 With the objective of guiding and supporting users at moments of purchasing decision, our copy united the heart of Dove’s body-positive message seamlessly with personal product recommendations and useful beauty tips. ‘If I had to guess, I'd say your beauty routine is on autopilot.’ Through free-flowing, concise and personal copy like this, we brought a human voice to the algorithm-induced content, engaging and advising users in order to optimise the Dove brand experience. Within days of its launch, the chatbot had communicated with thousands of users, providing information so astutely that the majority of respondents confirmed their query had been answered.